Learn a viable workaround to recover .zepto files ransomed by a new variant of the Locky crypto virus, which is currently on the rise after a lengthy halt. 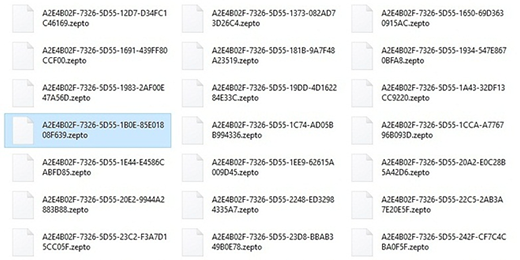 Discovering that most files on a computer suddenly got a .zepto extension is a frustrating scenario. Not only does this change denote an odd file display tweak, but it also means that the machine got hit by belligerent code engaging in extortion at its worst. The recent remake of Locky, a widespread ransom Trojan that used to terrify thousands of users and organizations, is the cyber threat to blame for such a mishap. The updated edition compromises PCs by means of phishing, where interesting-looking emails serve as baited traps. If the targeted person opens a rogue invoice or other file attached to one of these incoming messages, the deployment of the ransomware in the system is a matter of seconds. The loader adds a random-named executable to the AppData path, and the offending process commences the crypto part of the assault. 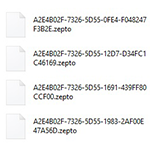 The Zepto malware first scans the hard drive, plugged-in media such as memory sticks, and network shares for objects whose extensions indicate whether they are personal files or operating system components. The former type of data is subject to further encoding. The ransomware uses a compound crypto routine to lock the data for good. The Advanced Encryption Standard (AES) is the first tier of encryption. It produces a secret key with the size of 128 bits. To raise the bar of recovery even more, the malicious program then employs the RSA-2048 cipher to encrypt the AES key. Filenames undergo a change as well and transform into long strings of numbers and characters with the .zepto part instead of the original extension. This tactic enables the threat actors to stipulate stringent conditions that the victim has to meet otherwise they run the risk of losing the information. Locky expresses these conditions in files named according to the following format: “_[random number]_HELP_instructions.html” and “_[random number]_HELP_instructions.bmp”. The victim won’t fail to observe the BMP version as it becomes the new desktop wallpaper. 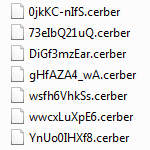 The HTML counterpart, in its turn, is going to be inside all folders with encrypted files. Both of them say, “All of your files are encrypted with RSA-2048 and AES-128 ciphers”. To receive the unique private key, the infected user is told to visit one of several available Tor pages listed in these ransom notes. The person will eventually navigate to the “Locky Decryptor Page” containing the Bitcoin address, to which they are supposed to send about 0.5 BTC, which roughly equals to $300. While the uncomforting option of paying the ransom may seem to be the only way out, it’s not quite so. Several other techniques proved to work rather well for recovering data locked by Zepto and similar ransom Trojans. The research of Zepto virus reveals an important fact about the way it processes the victim’s data: it deletes the original files, and it’s actually their copies that are encrypted. In the meanwhile, it is common knowledge that anything erased from a computer doesn’t completely vanish and can be dragged out of memory via certain techniques. 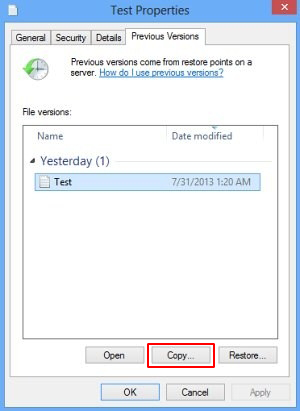 Recovery applications are capable of doing this, so this method is surely worth a try. Judging from your comment, some fragments of Zepto may still be on board. We recommend running a scan with the ransomware removal solution – it should undo the side effects. 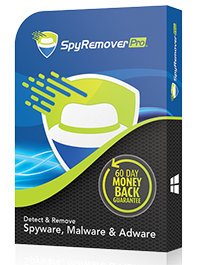 Have you tried the recovery steps highlighted in this guide? If not, be sure to give them a shot. How can I decrypt the file. When I have received the virus infected file from E-mail. I don’t have shadow copy or previous path of the file. How can I decrypt the file? without any loss. Mail me the steps if it is possible. Consider running the data recovery tool linked-to in the post. Otherwise, we’re afraid you’ve got no other free option. please follow the workarounds in this article. 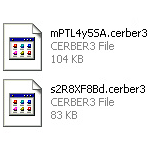 Unfortunately, security experts haven’t created a viable free decryptor for .zepto files at this point. 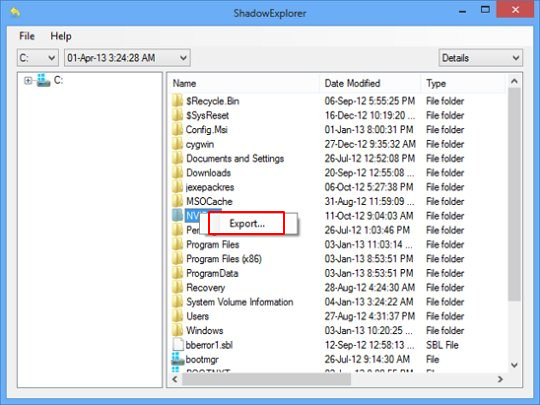 We recommend that you try Shadow Explorer and specially crafted data recovery software. Find details in the guide above.